The DD122FW started the revolution in dehumidifiers, setting the benchmark for home desiccant dehumidifiers for years. Others have followed the legacy technology. The E7 Technology has the power to do amazing things with your DD122FW MK5. It senses the ambient temperature and humidity level and automatically toggles between the full power, economy power and standby modes. This function will reduce your energy bill by as much as 40%. 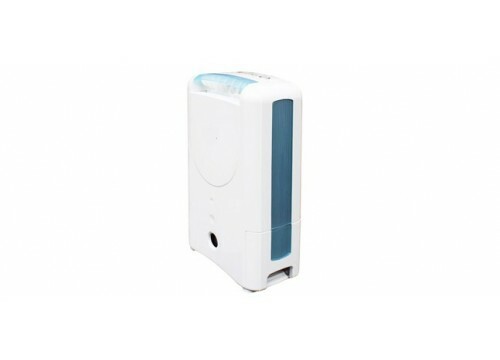 DD122FW MK5 has a built-in auto sensor that continually detects your air humidity. It knows when to toggle the dehumidification requirements. This ensures that the humidity level is under control and that you only use your electricity when absolutely necessary according to the mode you have selected. Using any dehumidifier at High Modes or Laundry Mode over long periods can cause unnecessarily "over-dry" ambient air. The good news is that the DD122FW MK5 knows when to toggle the dehumidification process when the air gets too dry. The DD122FW MK5 heating element has been re-designed to maximise the impact of even distribution to complement the Auto Toggle feature, increasing its efficiency and life in the process.